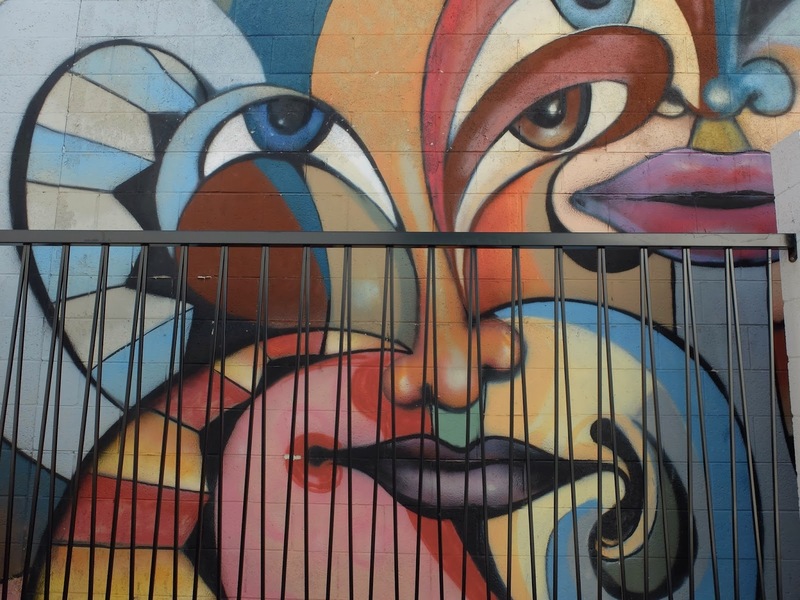 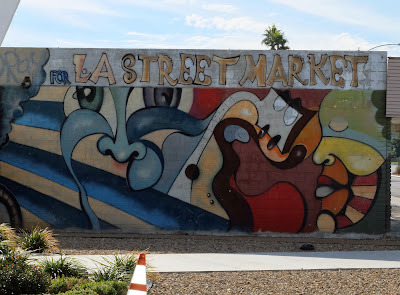 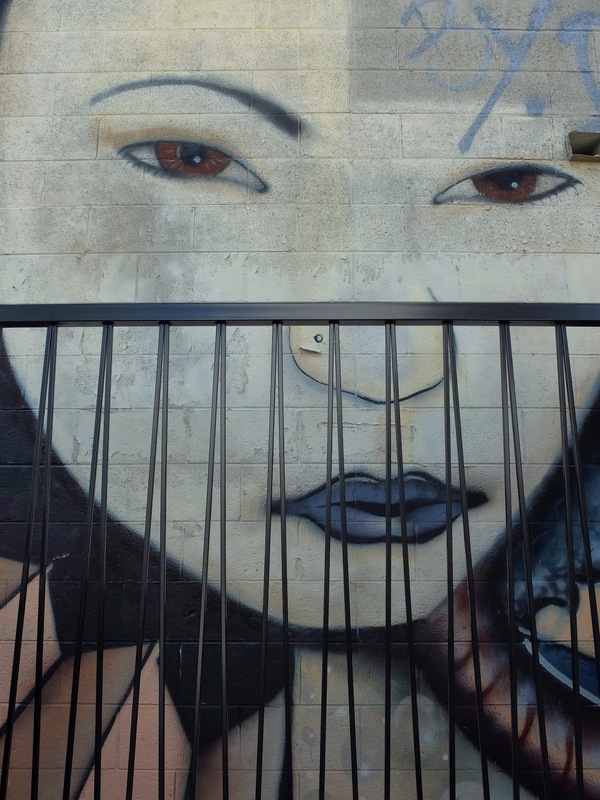 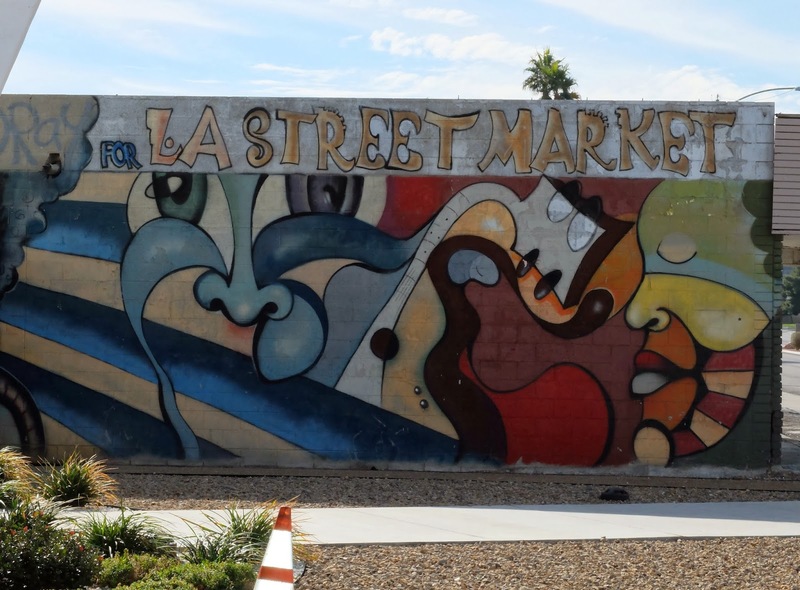 This mural is one of many on the L.A. Street Market building in Las Vegas. This images in this post are on a wall that faces the Neon Museum. In fact, the Neon Museum tour starts in a little courtyard which leaves you staring at two large faces in the mural. 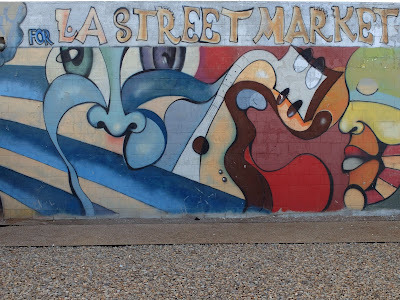 This mural is by Andre Wilmore, known as “Dray”.